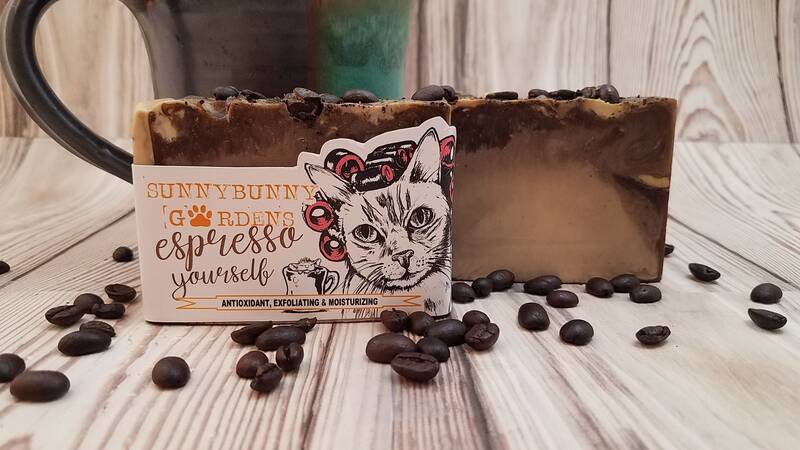 Our beautiful Espresso Yourself soap bar is scented like a rich chocolately cup of joe! 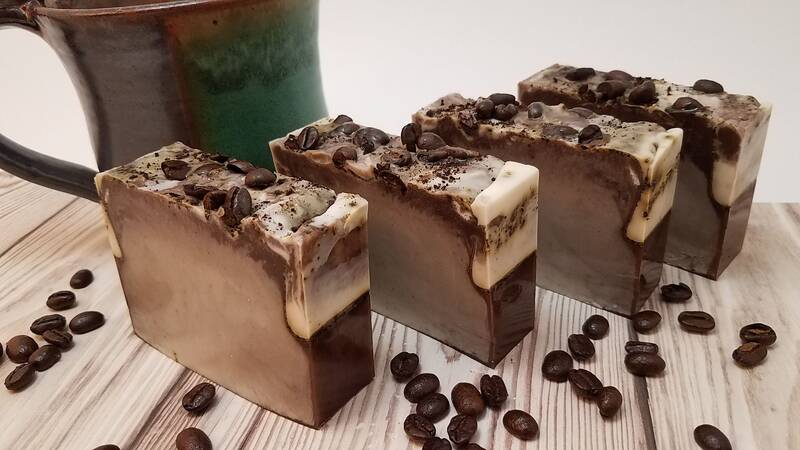 Who wouldn't want to wake up to the scent of chocolate AND coffee in the morning? Not me! 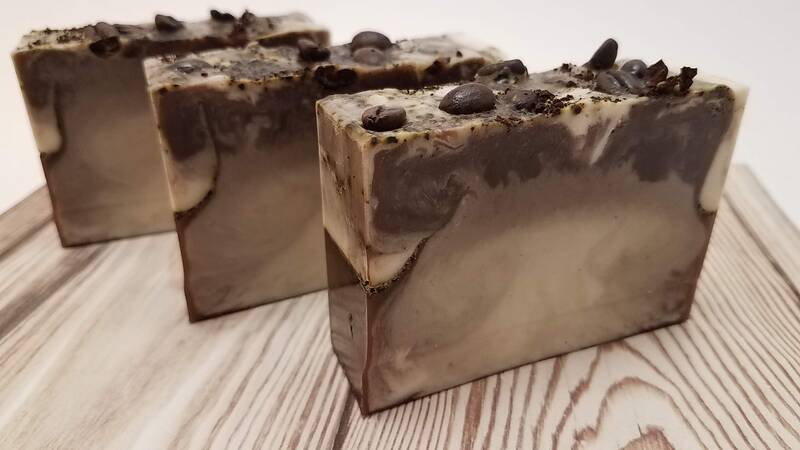 This dark brown lovely bar will wake you up in the morning! 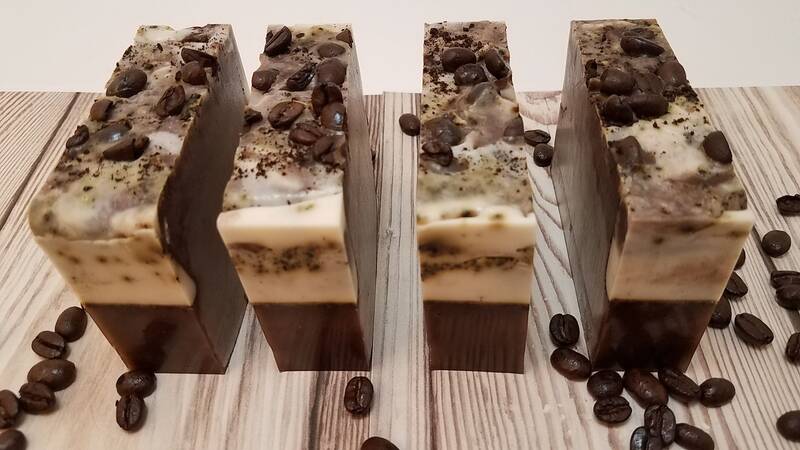 We used fresh organic coffee in this bar along with ground coffee beans for added exfoliation from our favorite coffee maker; Mariposa Coffee Company in Mariposa California. 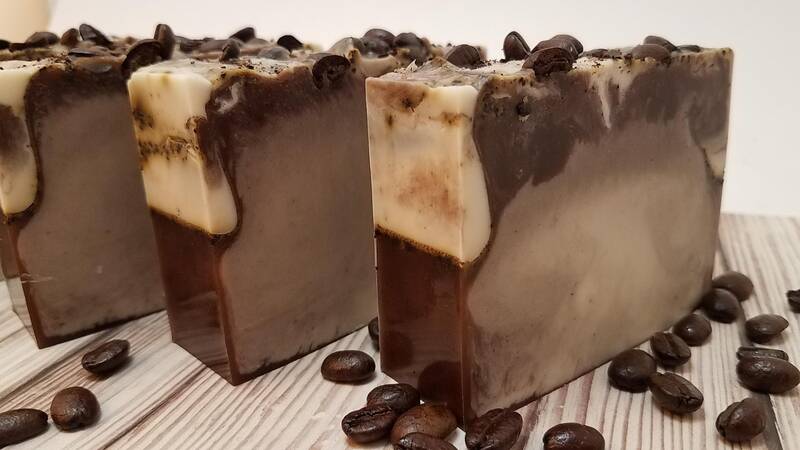 We have been drinking coffee from this local small business for years and wanted to use their coffee for this recipe. 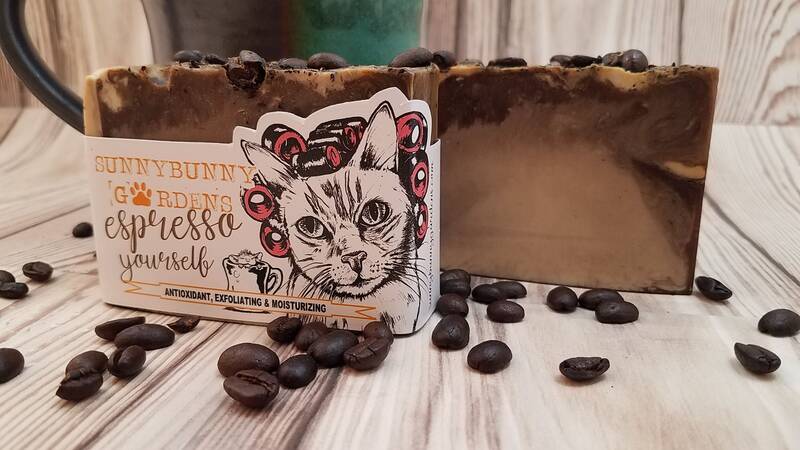 This bar has notes of chocolate, espresso and vanilla nut. What a treat! 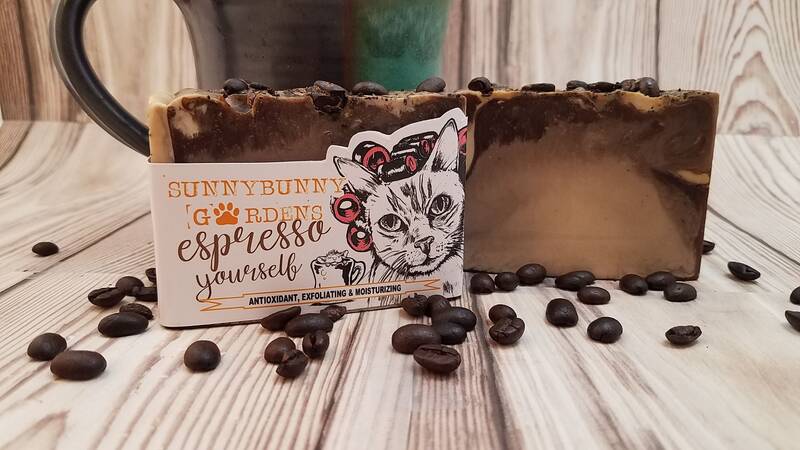 Size: Large 5-6 oz bar! SHEA BUTTER: Superb moisturizing qualities, improves skin conditions like blemishes, wrinkles, eczema & dermatitis. ACTIVATED CHARCOAL: Removes toxins and helps reduce acne and improve skin health. SWEET ALMOND OIL: Conditions skin and helps revive its natural glow. 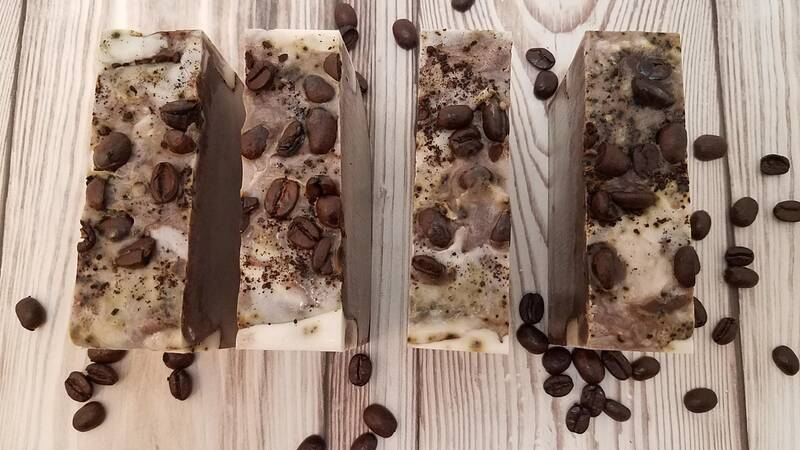 COFFEE: Great for sensitive skin as it can be smoothing, high in antioxidants, exfoliant.